Sometimes I walk into Anthropologie and I bask in the glow of the beautiful pieces that would just be so perfect in my home. Then I look at the price tag. A sudden wave of sticker shock washes over me and I feel like I’m committing a crime by just being in the store. What’s a girl to do? Time to get inspired and get crafty. I can’t think of a single reason to pay that much money for something you can recreate pretty easily and then be proud of later. 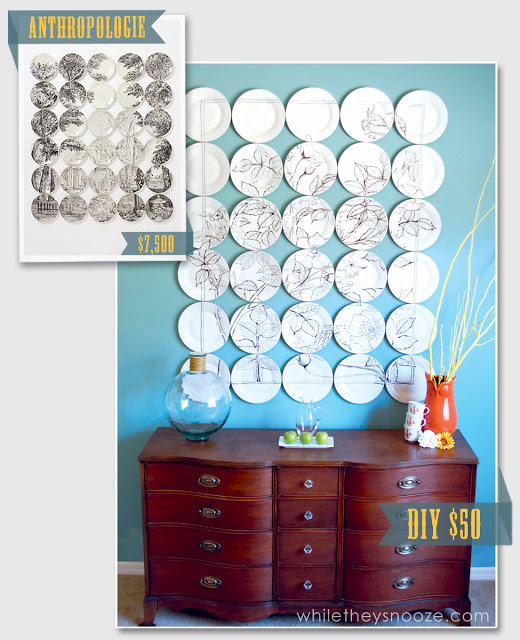 So in the spirit of inspired DIY, I compiled a few of my favorite Anthropologie hacks. Check it out. This blogger uses a projector to trace out a pretty cool design on her dollar-store-bought plates. If you’re artistically inclined you can totally skip that step and draw your own unique design on the plates. Get the full tutorial here. This DIY is probably my favorite. 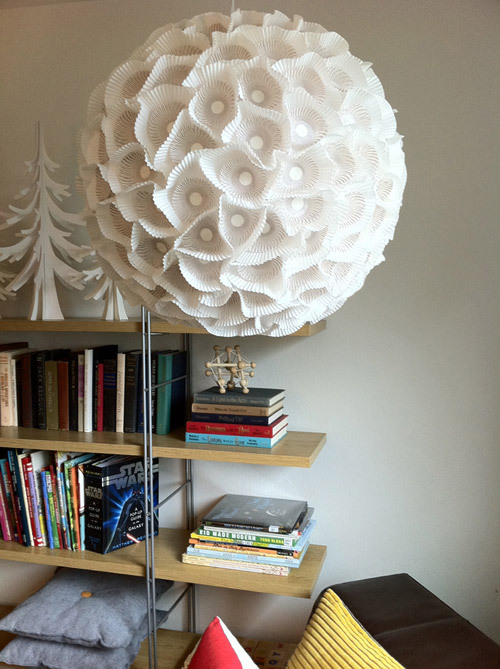 Using coffee filters (yep, those standard white coffee filters), this blogger recreates Anthropologie’s Rhodedenron Chandelier (which comes in at a whopping $1,298), for about $30. Get the tutorial here. Ok, so this one requires a little bit more elbow grease than the previous DIYs, but it’s well worth it to save over $900. Thrift store finds can become your most coveted pieces. For the full tutorial follow this link. Go ahead! 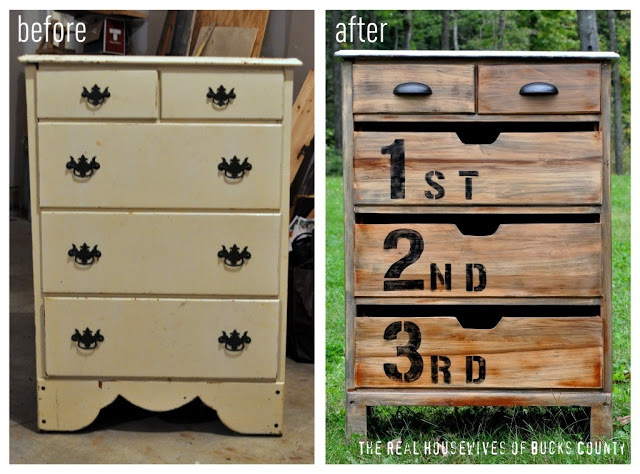 Get inspired and don’t forget to share some of your favorite DIY projects in the comments! Also, if you’d like to see a few more trending Anthropologie hacks, check out these 14 Anthropologie Decor Hacks to DIY in 2016.